One of Shoepassion’s largest brick and mortar stores has been located steps from Münster’s Domplatz since January 2018. 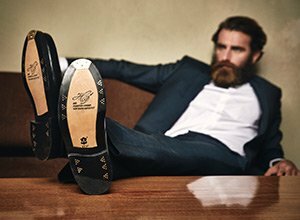 Spread out over 200 square meters and two floors, our handcrafted men’s and women’s shoes, as well as select accessories and care products, await shoe lovers from Münster and the surrounding area. Our experiences sales personnel look forward to providing individual, specialised advice and, of course, are also glad to assist you with any questions regarding our Budapest luxury models from the tradition-rich Heinrich Dinkelacker label.